Does your family enjoy eating fruits and vegetables? If yes, then lucky you! But chances are, you have to bribe your partner and children to enjoy healthy meals and snacks. While it might be a challenge to get your family on board with quinoa and kale, it’s not impossible. To help, we’ve come up with 10 hacks to get your family on board with eating healthy! Your family might be hesitant about your healthy lifestyle change. So rather than taking all the junk food out of the pantry and their diet at once, integrate them slowly into eating better. Often times we eat unhealthy snacks just because they’re available and in plain sight. To encourage your family to opt out of the junk food, start leaving a fruit bowl on the counter, and ready to eat veggies in the fridge. Sometimes unhealthy eating habits are just due to laziness! What day of the week do you go to the grocery store? Next time you make the trip, bring the family along! Before you leave, sit down together and make a list. 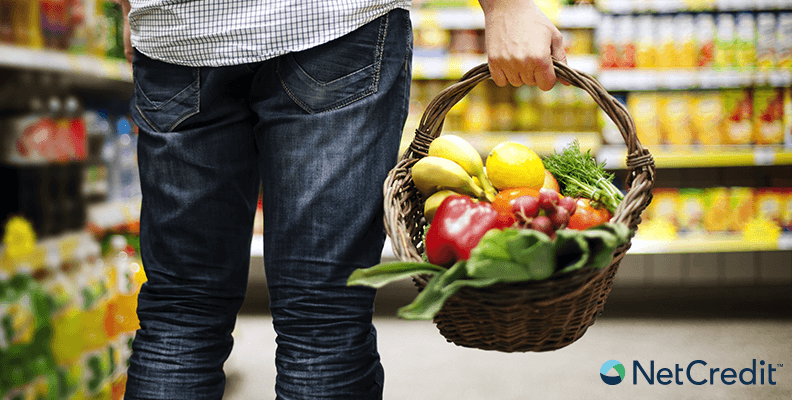 Once you get to the store, show them how to navigate to the healthiest food. Pro-tip: Only shop the grocery store’s perimeter, that’s where all the healthier options are shelved. After you return from your grocery store trip, include your family in the meal preparation process. To learn how to meal prep, check out our previous blog post — Save Money and Stay Healthy With Weekly Meal Prep. To make healthy eating an event, introduce a new dish one night a week for your family. But the secret is, don’t tell them exactly how healthy it is! Sometimes — by describing food as “healthy” — it deters them. So rather then telling them how good the meal is for them, just serve it up with a smile! Fruits and vegetables are colorful; you might as well use them to make food art! Cut and slice your family’s favorite fruit and vegetables and challenge them to see who can make the coolest art piece. The best part is, they can eat it afterwards! What are your family’s favorite condiments? If it’s sour cream, use Greek yogurt. If it’s butter, use coconut oil. If it’s peanut butter, try making your own almond butter. You’d be surprised to learn that most of your high calorie favorites have a healthy alternative. It’s no secret that juices and sodas are packed with artificial sugar. Since everyone knows this information, why do we continue drinking them? It’s time to remove them from your home for good! Substitute fruit infused water and sugar-free iced tea! At some point, you and your family is going to be too busy or tired to cook a healthy meal. When you’re doing your meal prep, create and store frozen vegetables, canned soups and entrees for those last-minute meal options. While you may love your new diet, your family will likely be hesitant at certain points. Your kids may complain that their favorite snacks are no longer in the pantry and your partner may miss sugary desserts! If they get fed up with the new meal plan in place, you can reel back, but don’t give up! It’ll be worth it in the long run to instill healthy eating habits in them.